JUCY Snooze offers budget accommodation in Auckland CBD (Central Business District), less than 10 minutes’ walk from Vector Arena and Auckland’s waterfront. 24-hour reception and a tour desk are available. Guests receive 30 minutes' of free WiFi. Just 5 minutes’ walk from Viaduct Harbour, Heritage Hotel offers stylish accommodation with satellite TV. It features 2 fitness centres. Guests receive 1GB of free WiFi per 24 hours. 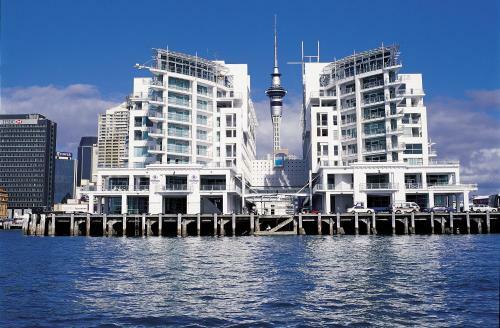 Mercure Auckland overlooks the harbour and city skyline and boasts stunning panoramic views from the restaurant and bar. 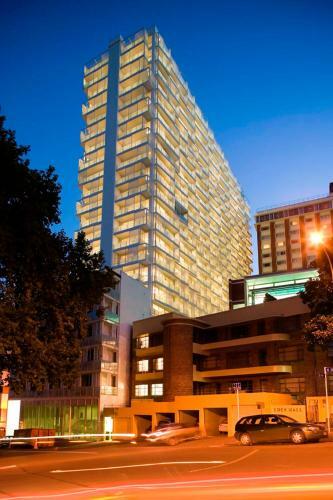 Located in Auckland's CBD (Central Business District), it also features a fitness centre. 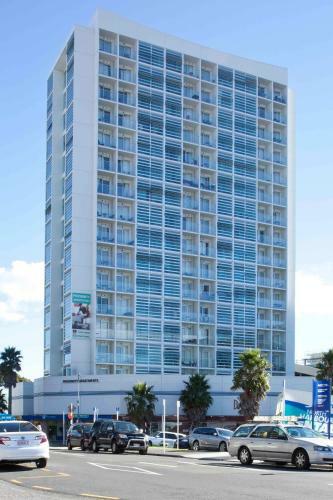 Surrounded by the shopping and entertainment streets of the waterfront, Grand Windsor Hotel offers a sauna. Grand Windsor Hotel blends a protected historic building with chic, contemporary interior design. 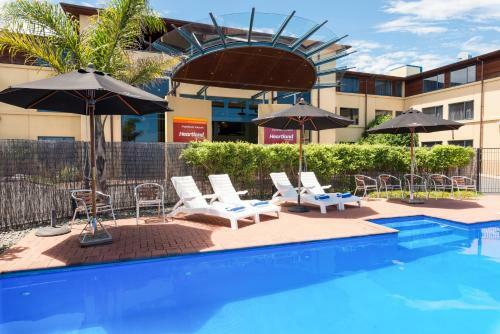 Overlooking Waitemata Harbour and Albert Park, The Quadrant Hotel & Suites offers self-contained accommodation with a private balcony and free Wi-Fi. It features a bar, a hot tub and a fitness centre. 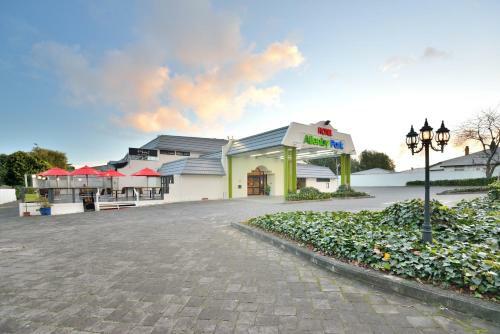 Located on Great South Road in the heart of Manukau, Allenby Park Hotel offers modern accommodation and an on-site bar and restaurant. It is just 8km from Auckland Airport and 15 km from central Auckland. Centrally located in Auckland CBD (Central Business District), ibis budget Auckland Central offers modern accommodation with a kitchenette, en suite bathroom and a balcony. Amora Hotel is centrally located in Auckland CBD (Central Business District), just a short walk from major shopping and entertainment areas. Each room at Amora Hotel Auckland offers a kitchenette, washing machine/dryer and a private balcony. Renovated in 2016, HIlton Auckland offers stylish rooms and suites in an idyllic location at the end of Princes Wharf. Guests can enjoy luxury dining at FISH restaurant, which offers a creative menu with a focus on fresh local ingredients. 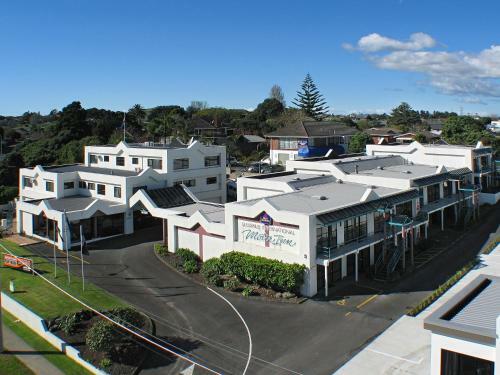 Located opposite the Parnell Rose Gardens, Auckland Rose Park Hotel provides a range of hotel-style accommodation, just 5 minutes’ drive from Auckland city centre. Guests enjoy 2 hours of free WiFi upon arrival. Offering 1GB of free WiFi per day, Proximity Apartments are located in Manukau City’s CBD, next to Manukau's transports hubs and a 10-minute drive from Auckland Airport. Guests enjoy spacious self-contained accommodation with a private balcony. Nomads Auckland Backpackers is located in a beautiful historic building in Auckland CBD (Central Business District). 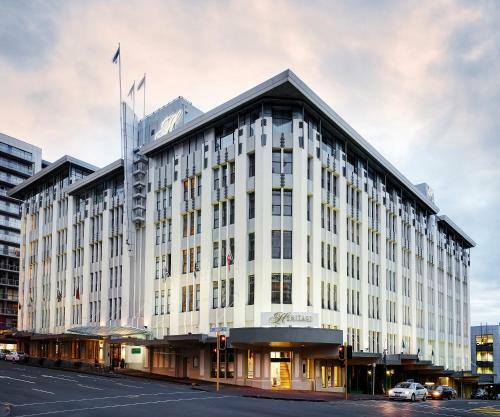 This 4-star hotel is centrally located alongside the Viaduct Harbour, in Auckland CBD (Central Business District). The Sebel Auckland Viaduct Harbour is within 10 minutes' walk of a variety of shopping and dining options.